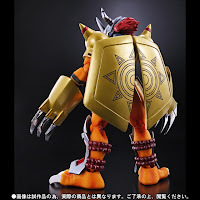 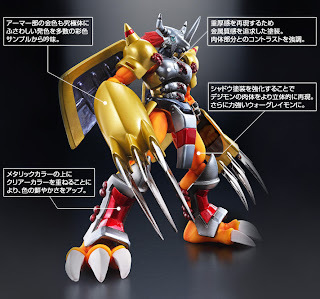 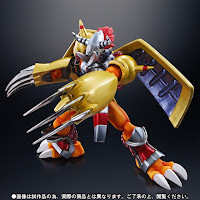 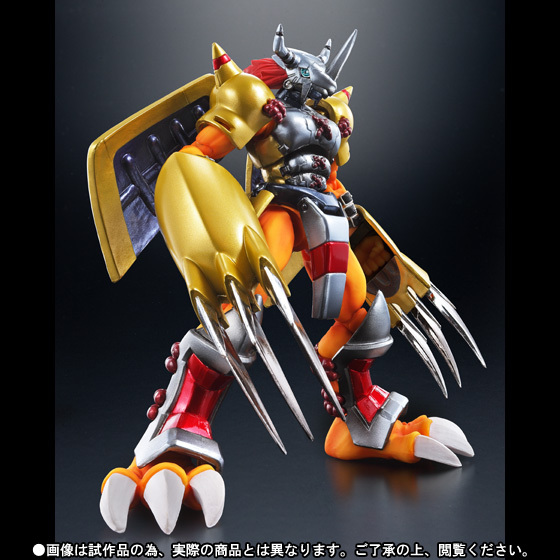 As part of Digimon's 15th anniversary, Bandai Tamashii Nations finally released the official images of the D-Arts Wargreymon Original Designer's Edition (previously reported as renewal version). 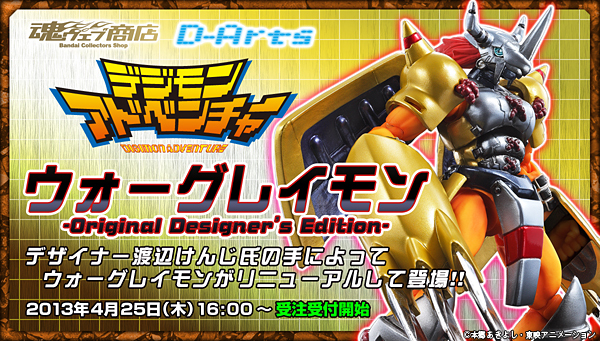 This will be the first Tamashii Web Exclusive announced that is slated for November 2013 release. The figure will retail at 3,990 yen. 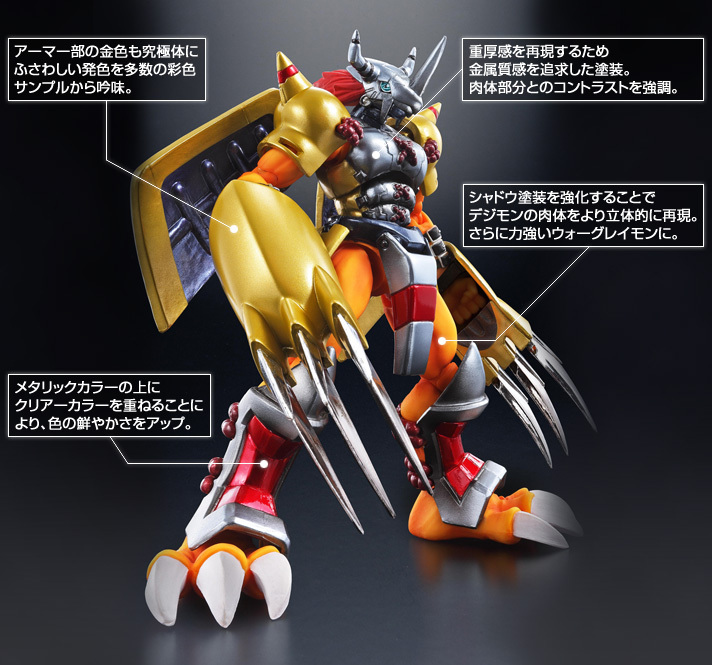 This figure will include eye replacements and effect parts. 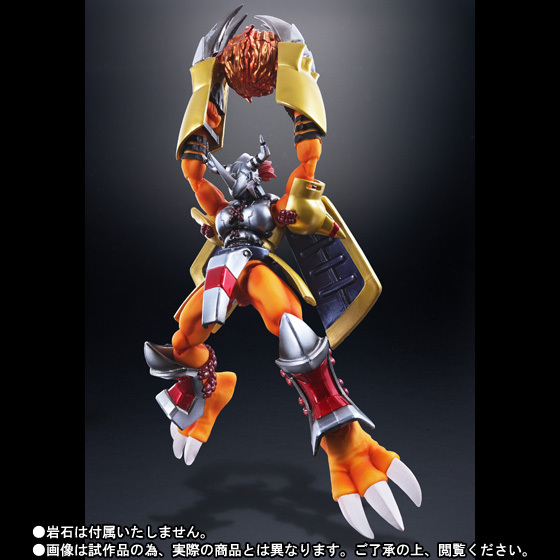 Height is approximately 140mm. Pre-orders starts today April 25th.